For the very first time, scientists have succeeded in calculating simple math problem of dividing a number into its prime factors by a functional solid-state quantum computer. 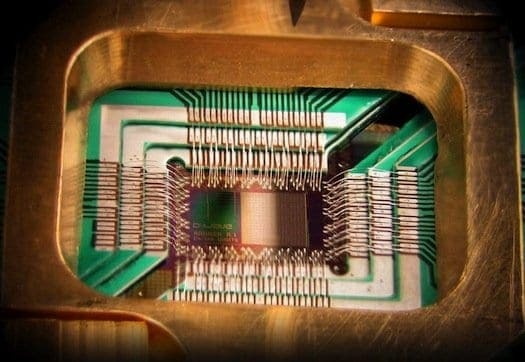 This accomplishment may not be much big as it was only number 15 that was split into prime factors but it is definitely a giant leap for quantum computers. It is the first step toward larger and more complex computations. Factorizing a large number very quickly has its importance in cyber-security. 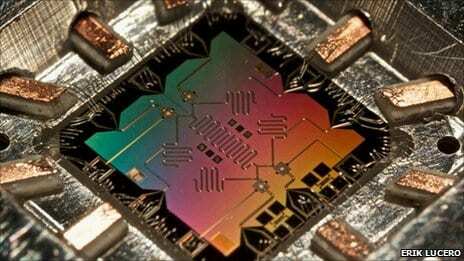 A quantum processor was built to map the number 15 by Erik Lucero, PhD graduate and researchers working under him at the University of California-Santa Barbara. The quantum circuit was made up of four superconducting qubits. These are basically logic gates of a quantum system on top of a sapphire-based substrate. The circuit also has five microwave resonators. The fabrication of the processor was a difficult job as an organization of nine separate quantum pieces requires high precision automated construction methods. The qubits were entangled and verified using quantum experiments. Peter Shor’s factoring algorithm was used to factor the number 15 by the team. Quantum computers are much faster than classical systems. Quantum Computers can greatly improve cyber-security by making calculations much more faster. 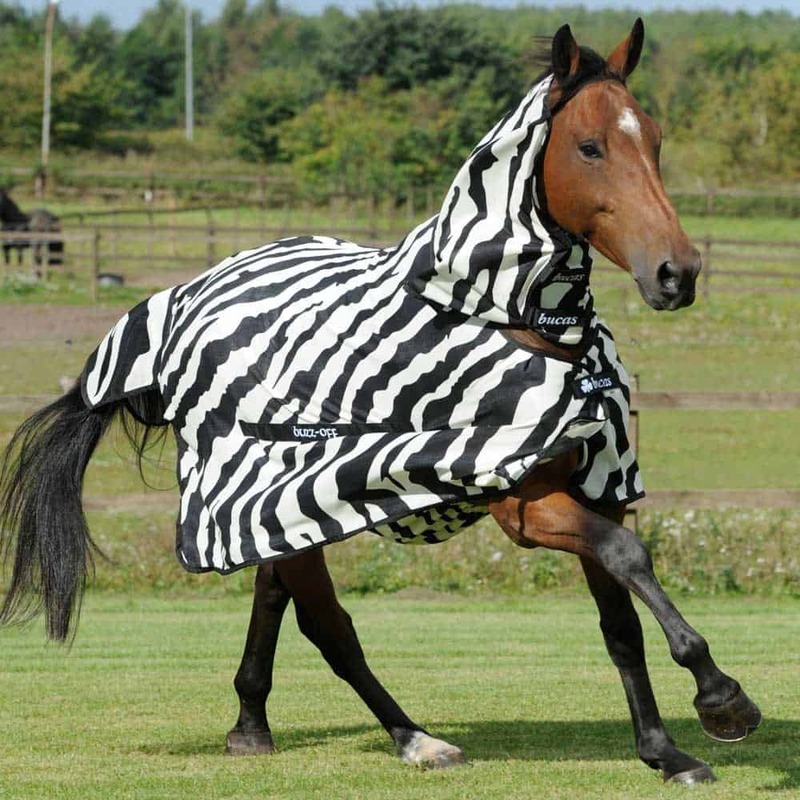 RSA encryption is based on the fact that it is very hard to factorize large prime numbers. Thus the product of two prime numbers serves as the key to encryption. To solve such a code, a classical computer performs a lot of calculations and takes too much time, especially when the prime numbers are very large. A normal computer will take years to factorize 600 digit largest ever RSA encryption number even with the world’s fastest classical factoring algorithm. While a quantum computer can solve this problem within an hour. The success rate of the experiment was 48% and it was performed 15,000 times. According to Shor’s algorithm, the quantum system will find the correct answer for exactly half of the time. Thus 48% is a pretty good figure. The scientists would now be working to improve quantum coherence and build more complex circuits. Soon the computer would be able to solve much larger factoring problems.